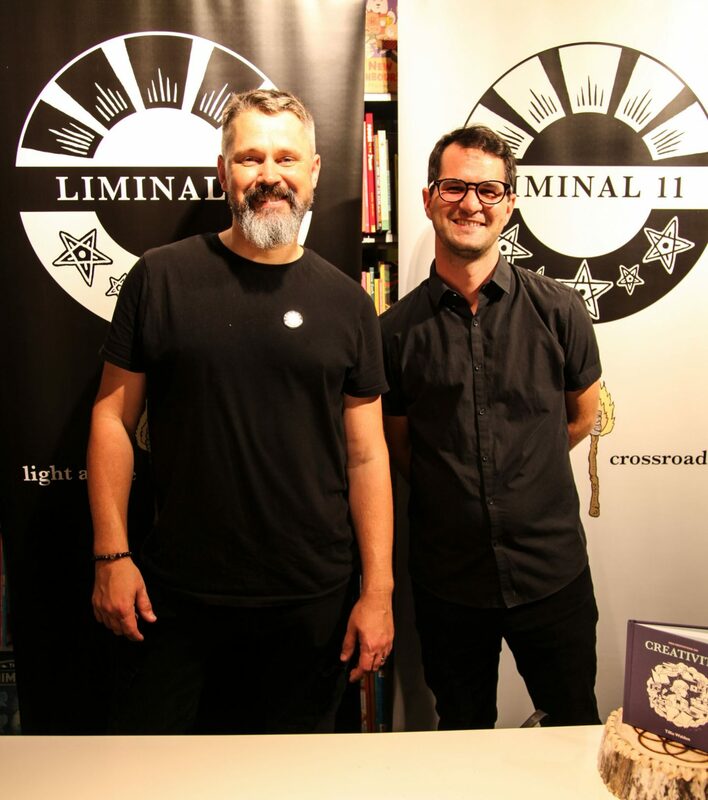 Liminal 11’s launch party AND SO MUCH MORE! Well, it’s official… we’re official! Last week, we held our proper launch party, plus we have some REALLY EXCITING NEWS . . . In the media? Read our official press release. In case you haven’t noticed, there’s a new menu item at the top of our website… the Liminal 11 webshop is now open for pre-orders! 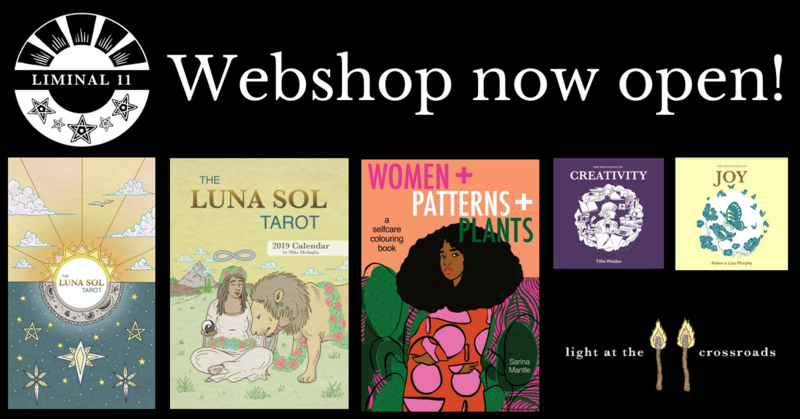 You can now reserve your copy of The Luna Sol Tarot by Mike Medaglia, Mini Meditations on Joy by Adam & Lisa Murphy, Mini Meditations on Creativity by Tillie Walden, Women + Patterns + Plants by Sarina Mantle, plus exclusive prints and The Luna Sol Tarot 2019 Calendar! You lucky thing, you. Head on over to the shop to have a browse! Very excited to have you here at this most auspicious of moments! Liminal 11 is a new publishing company founded by Darren Shill and Mike Medaglia (read more about us). Over the next year we will be publishing a tarot deck and many awesome tarot related products. But the company won’t be all about Tarot – we will quickly be expanding into many new areas! So keep an eye on this space as we begin this exciting new enterprise.